Strawberry Walks into Bar. | Finding delight. I just finished this book, girl walks into a bar. 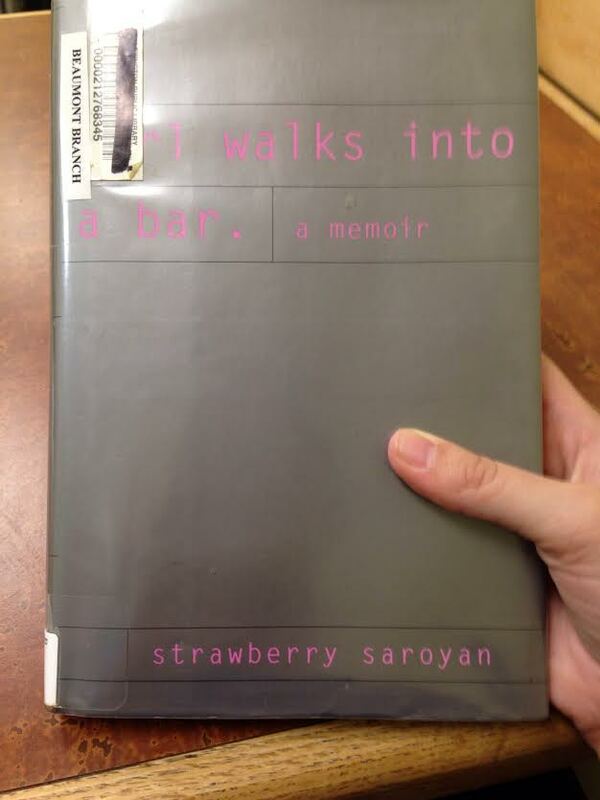 by Strawberry Saroyan, that I scored last year at the Friends of the Library book sale for a buck. While at times the memoir feels a bit banal, it does paint a clear picture of life in the magazine (and pseudo-famous) world of the angst-riddled 90’s. The memoir is split into chapters which read more like individual essays as opposed to supporting an over-arching story, yet thematically they all work in the context of the title–Saroyan seems to have “come of age” so to speak in the various bars she frequented. We weren’t just people who hung out at a bar one evening a week together, trying to valet our screwed-up cars as discreetly as possible before dashing in in our fancy duds. We were friends. For even though they’d all seemed so glittering to me, the truth was we were all, to varying degrees, alone: Rich or poor, ascending or not, we were almost all professionally freelance, and personally single. We were all edging toward thirty, too, without the family and kids that some of us had been taught to expect by this time, but even more than that, without the sense of being adults that had been implicitly promised us. None of us felt like adults. And it’s something that I’ve still rarely heard acknowledged, but that I find to be almost frighteningly true: No one ever tells you that you’re never going to feel grown-up. Proto Lena Dunham Lena Dunham-y, amirite? Basically, if you find hipster-y lifestyle blogs and Girls entertaining and painfully relatable I think you’ll dig this book. (And the last essay reads a bit like Frances Ha.) Just don’t go into it expecting a narrative because all you’re gonna get are some general quarter-life crises musings. 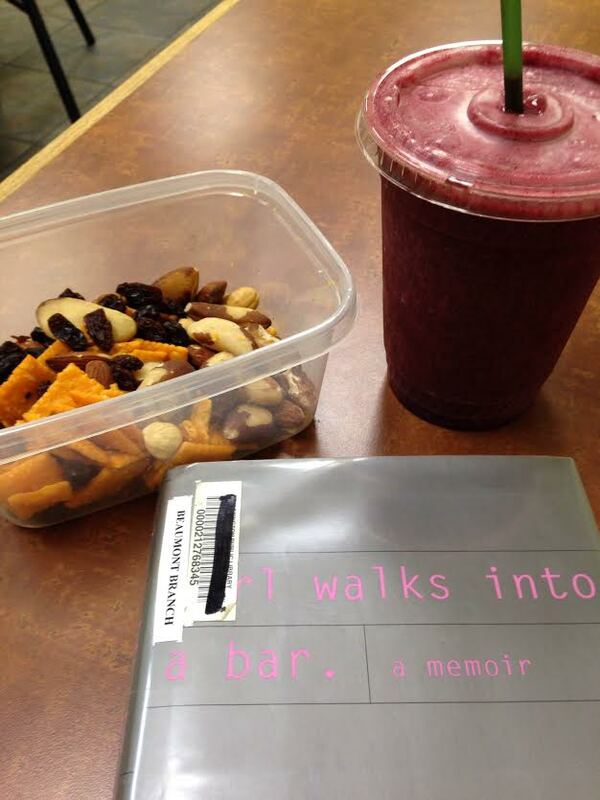 I enjoyed this book best while munching on self-made trail mix and drinking a berry smoothie. My favorite of the essays was the bounty boys. P.S. Check out this piece Strawberry wrote for The New York Times in 2004 after Gwyneth Paltrow named her daughter Apple. Those fruit-named gals have to stick together, I suppose.